1 BRING water to a boil in large skillet. 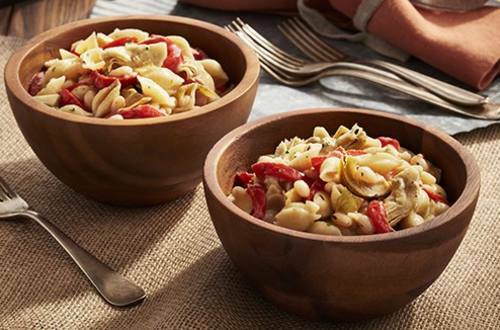 2 STIR in Knorr® Italian Sides™ - Creamy Garlic Shells, beans, artichoke hearts and roasted peppers and return to a boil. 3 REDUCE heat and continue boiling gently for 11 minutes or until pasta is tender, stirring occasionally; now it's delicious. Dig in!